Indian Army is one of the most secular institutions in the country and Muslims must sign up. It’s like stepping into a veritable minefield if you speak about the representation of Muslims in the Indian military. But the trigger for this piece is an article in ThePrint, which said Indian Muslims are increasingly trying to stake a claim in the power structure by applying for civil services jobs like the IAS, IPS and IFS. There is no better example of this than in the state of Jammu and Kashmir where young educated people are working hard to realise their ambitions through the Indian Civil Services. This can also help alter public perception about the Muslim community especially because there are no reservations for minorities. There are no reservations in the Indian armed forces either, for minorities or SCs/STs. What exists is a unique representation system, which is regionally balanced and based on what is referred to as the recruitable male population index (RMPI). It’s a slightly complex system, which ensures regional distribution but no bias towards any faith or caste. This exists in the level below the officers’ cadre. At the officer level, it is simply open competition – those who are competent will be selected. This can lead to concentration of better educated, more aware and already empowered youth to apply and be selected through fair competition leading to a preponderance of some segments in the officer cadre; no issues with that, the best deserve the cake. The question is about motivating the less-aware youth with lower education levels to equip themselves to compete for the officer cadre. Entry in even slightly enhanced numbers will have an exponential social empowerment effect on the ground and that is most desirable. All of this can be achieved without any dilution of standards whatsoever. My frequent travels and interaction with less-fortunate segments of the Muslim community is for the sole purpose of patriotic motivation and promotion of self-confidence to avail of every opportunity that India offers. Unfortunately, Muslim youth lack motivation and confidence, and worse, still consider the armed forces as something outside their ambit. Living in dense clusters in walled cities, their lack of exposure has severely hampered growth and awareness. When I identify myself as a General Officer of the Indian Army, whose father was also a General Officer in the same Army and had volunteered to stay and continue serving that Army when he was offered a choice in 1947, I expect it would be a matter of great pride for them. After all, both are highly decorated by the President of India. It’s not scorn that comes my way but utter disbelief. “How can you be a General?” one young skull cap-wearing youth asked me. “There is no place for Muslims in the Indian Army.” It is stunning that such perception still prevails in India, 71 years after Independence. It is, after all, a question of awareness. The average Muslim family from a mofussil town considers the Indian Army completely alien with the perception that its culture does not permit a good religious Muslim to practice his/her faith. Little is it known that the practices of the Indian Army actually make most of them even better Muslims and infuse a sense of professional achievement. 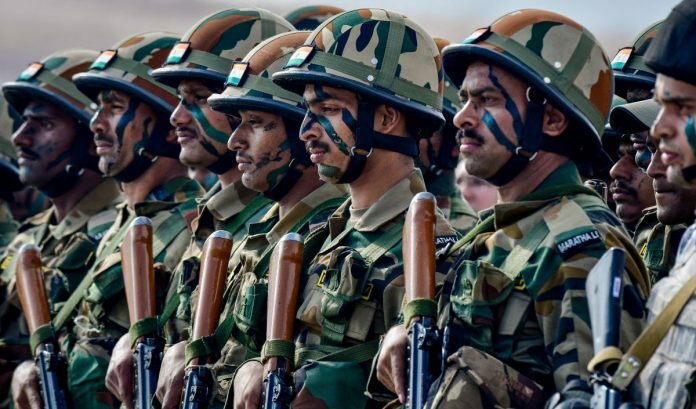 India’s Muslims need to be made aware that the Indian Army is the only Indian institution which has an Institute for National Integration (INI) for the promotion of plurality, tolerance, integration and multi-faith existence. The fear that they cannot pray at will, cannot fast, and cannot consume the meat of their preference is a misnomer. A Muslim subunit of the Grenadiers regiment is almost always commanded by a non-Muslim. That officer keeps all 30 fasts of Ramzan with the troops and leads their prayers five times a day. Meat dressed to their preference is almost invariably provided to them; if there are constraints at times, an equivalent calorific value of protein will be provided through alternatives such as fish, eggs or milk. Wherever 120 Muslims are present the rule is that a religious teacher will be posted for religious guidance – and this applies to all religious communities. The teacher will accompany them through hell and high water. Wherever a subunit of Muslim troops stay, a masjid will be mandatory just like a temple, church or a gurdwara. If Muslims, whatever their number, are present in a mixed All India All Class unit, there will be a Sarv Dharm Sthal (all faiths under one roof) with troops being continuously preached on the virtues of multi-faith existence in the spirit of true India. All this is for the troops and is a demonstration of the Army’s secular and tolerant culture. For officers, there is only one rule – follow your own faith, but the faith of the soldier you command becomes the faith of the officer. I remained a Muslim but participated in the Hindu practices with my troops. No sensible Muslim can ever object to that. My men cared more for my sensitivities than I did. Cricket, Bollywood, IT and now even civil services have broken the bastion of Muslim backwardness in India. Muslim youth seek opportunities everywhere but hold back from the officer cadre of the Indian armed forces. Perhaps the uniform instils a fear of the unknown. The armed forces can contribute immensely toward strengthening India’s social fabric. Imagine a young Muslim Major from the Garhwal Rifles becoming the icon for his town or mohalla around Sultanpur or Barabanki. That’s the India I seek. This is truth I am agree with Mr. V.Ramesh.Srenyvasan. HINDUISM’S belief of true religion which is the best human values,e.g Sarvey bhawantu sukhin,Vasudhev kutumbkam,sarv hitai, is only religious theory for flourishing other religion practices. E.g Muslim, Christ. Hindu believes in virtue of humanity accepting every creed, book, but Muslim belief system although they are not lover of education and books but they believe only in Koran and that is the problem against humanity and subsequently raising ISIS like group since 1400 they do not believe in identity with mother-land,Vande Mataram and country. So they must not be allowed in army. The only Muslim who are good who don’t follow Kuran, donot level other kafir for killing.,but very few Muslim realise and accept this. Muslim first be reconverted in religion of their forefathers which in India are Hondus, before invader’s forcefully conversion, then they must be allowed at in the army. Mr. V Ramesh Srinivasan, You cant say like that for all muslims. What is your Opinion about the great Mr. APJ Abdul kalam, our ex president. What will you say about Abdul Hameed, the Indian soldier who destroyed 7 pakistani tanks single handedly and laid down his life for the motherland.He was awarded Param veer chakra posthumously for his bravery . Only mentally ill people talk like you. HINDUISM’S belief of true religion which is the best human values,e.g Sarvey bhawantu sukhin,Vasudhev kutumbkam,sarv hitai, is only religious theory for flourishing other imperfect religion practices. E.g Muslim, Christ. Hindu believes in virtue of humanity accepting every creed, book, but Muslim belief system although they are not lover of education and books but they believe only in Koran and that is the problem against humanity and subsequently raising ISIS like group since 1400 they do not believe in Vande Mataram. and country. So they must not be allowed in army. The only Muslim who are good who don’t follow Kuran, donot level other kefir for killing.,but very few Muslim realise and accept this. Muslim first be converted in Other religion of their forefathers, before invader’s forcefully conversion, then they must be allowed at in the army. The first hero of 1965 war was Havaldar Major Abdul Hamid of the Grenadiers. He was posthumously awarded the Param Vir Chakra, India’s highest award for gallantry. There is no relegion in Indian Army. When we are in Army we know only one Relegion. Yes that is Jai Hind. I am an Ex.Serviceman who was recruited on 10 Apr 1970. During my training my best friend was Bindu Khan Patan from Rajasthan. Many muslims are in Indian Army as senior officers as well in junior position. There are many muslims who want to join in Indian Defence forces. It’s not that Muslims don’t want to join armed forces and no one labels you a bad Muslim for joining your own countries army, infact dying for your motherland is jihad/sacrifice for muslims. Very few Muslims applying for army because they select muslims very rare, like if your relative was in the armed force, maybe, and on top of that forget about any promotions. No one can change Muslims. They are not having country spirit, only religion fanatic. Islam is mesmerism. Not a good or even a religion. So only solution is all Muslims of the world put together in one place. They can’t live with other people. Investing in terms of friendship, affection etc all are waste to a Muslim. So my advice is ISLAM IS A TERROR OR EVIL TO MANKIND. Mr. Ramesh srinivasan, You cant talk like that about all muslims. What is your opinion about Mr. APJ Abdul kalam.The great scientist and our ex president. What will you say about Abdul Hameed, the indian soldier who destroyed 7 pakistani tanks single handedly in indo pak war. He was honoured with Param veer chakra the highest military award for his bravery. Only mentally ill people can talk like this about muslims. Take treatment. You are making me chuckle now…!! You are countering his comment by misusing name of a noble soul Mr APJ Abdul kalam. We all know very well that there were thousands of muslims marching on the road behind dead body of a terrorist Yakub menon. Same day was death ceremony of Abdul kalam as well, mostly attended by Hindus. So, please don’t play ‘taqiya’. Don’t fool us. We don’t trust you. In fact we don’t trust any muslim. It would be a highly elevated moment when retired Lt. General Hasnain will gather enough courage to Modi to stop “shaming” the Muslims! Subedar Abdul Hameed is not alive, he could have given some good advice to the present day General : it is majoritarian attitude which is to be questioned, Muslims don’t need to prove their Nationalism, General! Sir, indeed Indian army has a very rich, tradition and culture and joining this great institution will help us in making a better muslim, a better hindu, a better sikh, a better christian and so on. In fact it will help us in making a better Individual to serve not only our nation but the whole World and Societies. The article is so on point about the “Reservation” part save for the fact that while not either faith-based or even caste-based, the Indian armed forces indeed have a quota for not-so-practical reasons. Joining the civilian side of the government, with the IAS and the IFS at the apex, would be equally good. However, the basic formulation we should all accept, from our hearts, is that an Indian Muslim – like a Hindu – does not have to “ do “ anything to prove himself in any sense, least of all of being patriotic. It is deeply insidious to suggest that they need to overtly be – and be seen – on India’s side, on something as simple as cheering the Indian cricket team, especially when it beats Pakistan. After seventy years of being together, by choice not compulsion, some things should be taken for granted.